Funeral services for Lois Maxine Poston will be held at 2:00 p.m. on Tuesday, April 2, 2018, at East Leesville United Pentecostal Church. Burial will follow in the Poston Family Cemetery under the direction of Jeane’s Funeral service. Visitation times for the family and friends of Mrs. Poston will be held at the church on Monday, April 1st from 5:00 p.m. to 10:00 p.m. and again on Tuesday from 11:00 a.m. until the time of service. 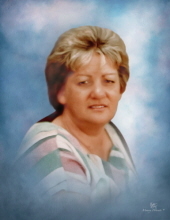 Mrs. Poston was born on March 26, 1943, in Robeline, LA and passed away on March 29, 2019 in New Llano, LA at the age of 76. She loved to cook and care for her family. If her family was taken care of, she was the most satisfied. Her language of love was feeding people, and no matter the time or situation, she always had something to feed you or would offer a helping hand to help you achieve your goals. If you’ve never had the pleasure of eating one or many of her biscuits, I guarantee you’ve never eaten a real buttermilk biscuit. Another way Mrs. Poston helped others was by giving very sound biblical advice. She was a member and past president of the Louisiana Cowbell Association, a life-long member of the Eastern Star, a beautician, and an owner/operator along side of her husband of Anacoco Spillway Park and The Old Colony in New Llano. Mrs. Poston also spent many hours volunteering at many of her children’s school activities. She enjoyed fishing, milking cows, and gardening. She passed into her eternal rest 3 months and 7 days after the love of her life, Shorty Poston. Mrs. Poston will be remembered as a loving wife, committed, and faithful wife, mother, and Nanny to her family. Mrs. Poston is preceded in death by her husband of 52 years, M.O. “Shorty” Poston; daughter, Beverly K. Cobb; parents, Mack and Marie Beason; twin sister, Lozell Beason; and sister, Dorthy Phillips. eleven grandchildren, twenty great grandchildren, and a host of nieces and nephews. Pallbearers will be George Cobb, Chris Cobb, Patrick Poston, Michael Mason, Dakota Sanders, and Reggie Booth Jr.
Honorary pallbearers will be Benny Poston, Reggie Booth Sr., and Rodney Sanders. To send flowers or a remembrance gift to the family of Lois Maxine Poston, please visit our Tribute Store. "Email Address" would like to share the life celebration of Lois Maxine Poston. Click on the "link" to go to share a favorite memory or leave a condolence message for the family.